It’s time for those April showers…. and storms! This week looks to be quite active in portions of the central United States. I am just going to simplify it here from the beginning and then go into more detail on Wednesday and Thursday, since they have a better potential for storms and severe weather. Also, bear in mind my focus and thoughts are mainly for the central/southern plains into the midwest for the events Mon – Thurs. I encourage you to check your local forecast as well as forecasts from the Storm Prediction Center for non location biased info! This stems from the lack of coverage of potential thunderstorms. Some high resolution short term models continue to try and develop a storm this evening in southwest Oklahoma. This is a possibility. Models appear to be “over mixing” the moisture this afternoon. When mixing occurs, moisture is taken from the low levels and redistributed vertically through the atmosphere. This can hinder the potential for severe storm development. With that said, low clouds/fog have held on all morning across central Oklahoma. This will prevent the sun from shining fully and getting this mixing process going and thus the dryline moving rapidly east. In general, short term models can be somewhat useless in this situation, when they do not have an accurate handle on the environment/current conditions. Their instability values are off and their storm development, organization and maintenance can vary too… Long story short, stay tuned to radar and your local media source in central/western Oklahoma this evening. Don’t be scared, be prepared! Low risk of thunderstorms across KS/OK. Wednesday could pose a risk of a few tornadic supercells, that could be damaging. While warm air aloft will likely keep storm coverage limited, at least a few thunderstorms are expected to initiate in Kansas and Oklahoma. The relatively most certain location for development will be near the triple point, where the warm front and dryline intersect. This varies by model, but somewhere in central to south central Kansas appears likely, along and just west of I35/I135. Further south, storm development is more questionable along a dryline that will exist into Oklahoma and Texas. Any storm that is able to develop along this dryline will also bear a risk of significant severe weather. Looking through data, I am fairly confident there will be multiple tornadic supercells along the dryline. Again, this is an isolated threat.. Be weary of big “outbreak” posts, as there will likely not be a large amount of these significant storms on Wednesday. Model differences exist here, so I don’t want to get into too much detail. System evolution from Monday – Wednesday will impact Thursday. The general location looks to be somewhere in the upper midwest, near the surface low, with storms forming along the cold front southward through AR/OK/TX. At this time, the greatest risk for severe weather appears to be near the surface low track in central and northern Illinois. This is also where tornado potential would be relatively higher, but right now, that threat is very unclear. 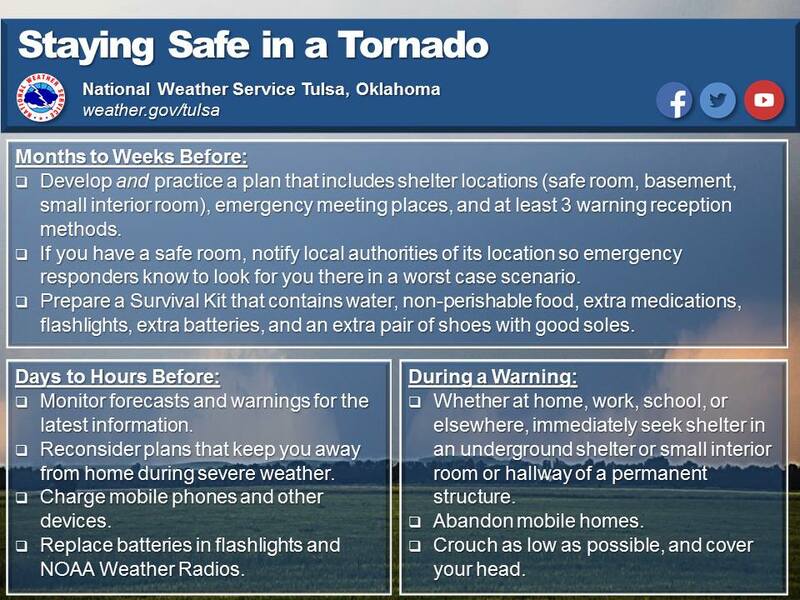 Remember to have a severe weather safety plan in place!